So you're thinking about adding draft beer to your menu? 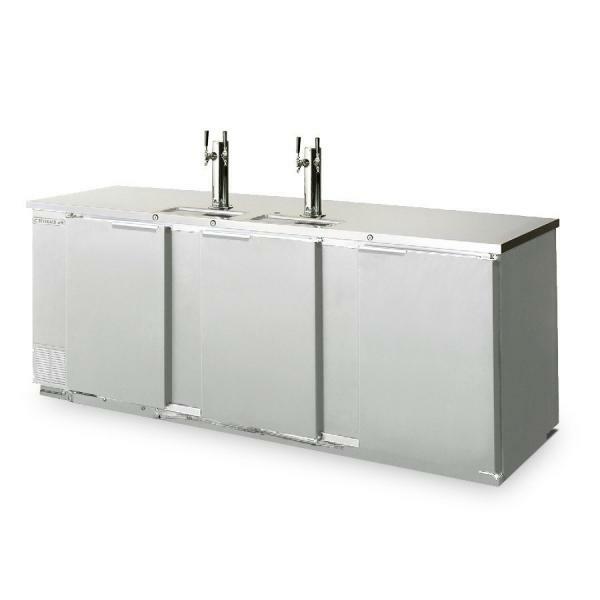 It's a great idea and potentially a great profit center for your business and Beverage Air has the right Direct Draw Draft Beer Dispenser for you! The DD78-1-S has been tested and certified to work in ambient temperatures as high as 100°F! It has a beautiful stainless steel exterior for the ultimate in cleanability and appearance. Two 3" tap towers are provided and are adapted to have continually flowing cold air channeled into it to keep beer at its coldest. The drain tube is conveniently located at the bottom front of the cooler for easy connection to your floor drain. The unit is environmentally friendly using R134a refrigerant, which is CFC and HCFC-free. 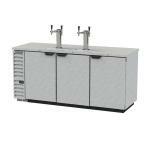 Draft Beer Cooler, 79"W, 29"D, 33.59 cu. ft.